In this digital age, most people already know what passwords are. People are so fond of creating different passwords for their various accounts. Unfortunately, these people sometimes forget their passwords. When this happens, they might lose the right to access their accounts. Either that or they have to go through the process of resetting their password. 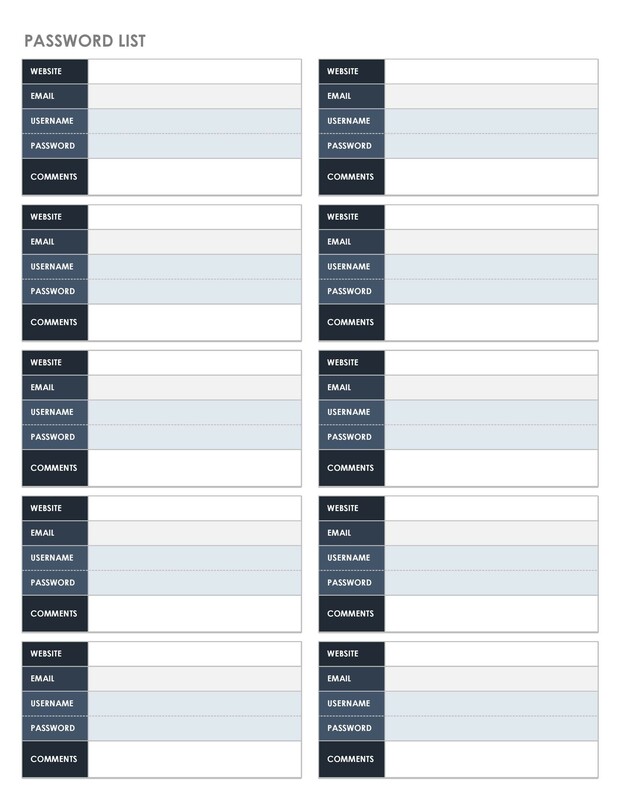 2 Why is there a need for password list templates? 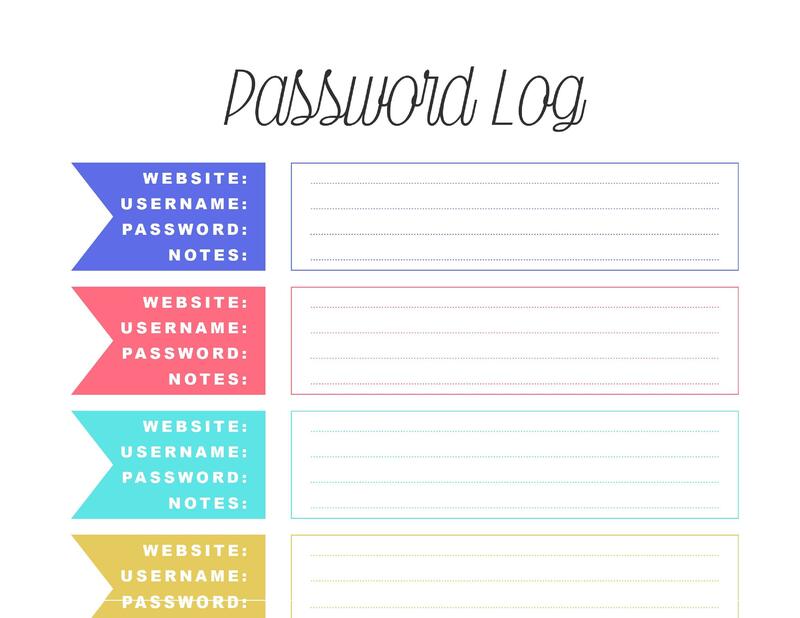 Fortunately, there’s a very convenient way to remember all your passwords. 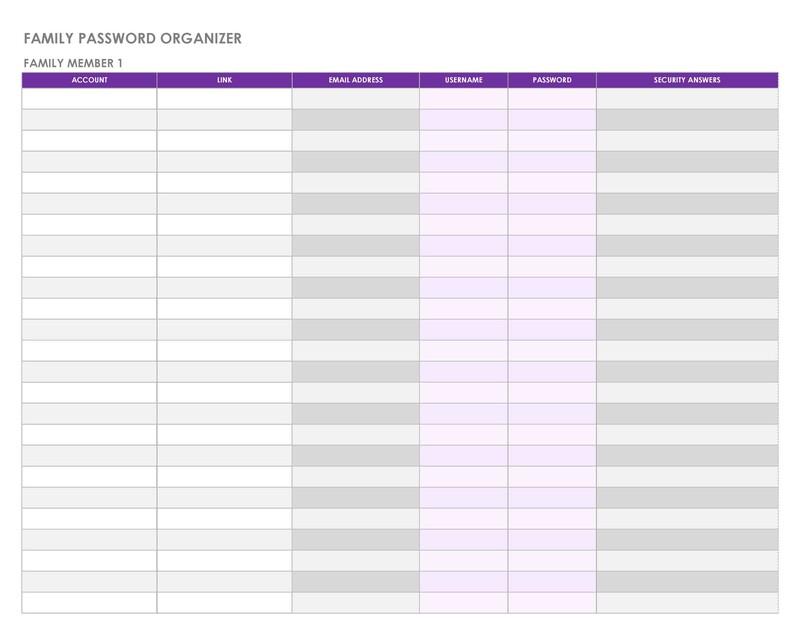 You can create a password list to store all your passwords. 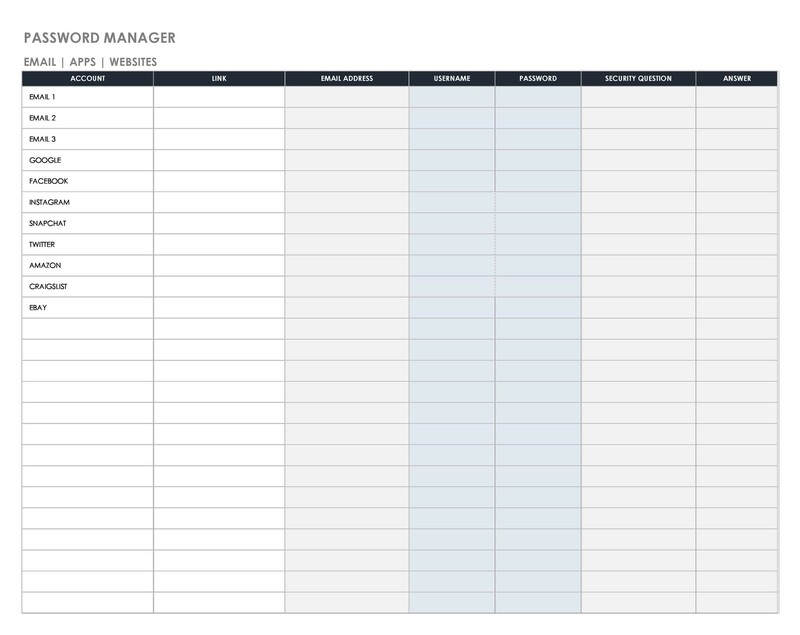 Create a template where you can list all your accounts. Also, include the corresponding passwords. Of course, you need to keep this list secure. Do this so nobody can access your accounts without your permission. Such lists are also very useful in the office setting. Usually, workers don’t create secure-enough passwords for their office accounts. Because of this, the IT department is usually given the task to secure the accounts for them. 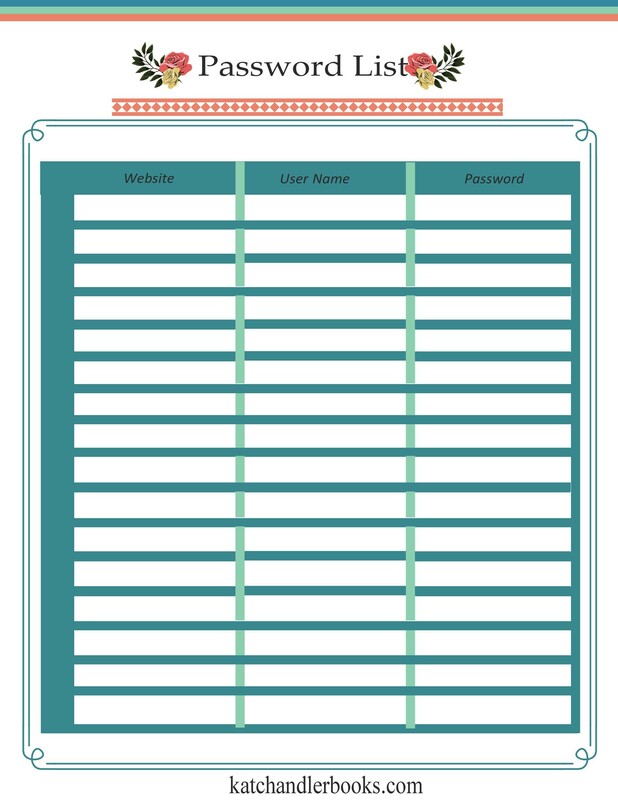 To make work easier, they can download a printable password log. 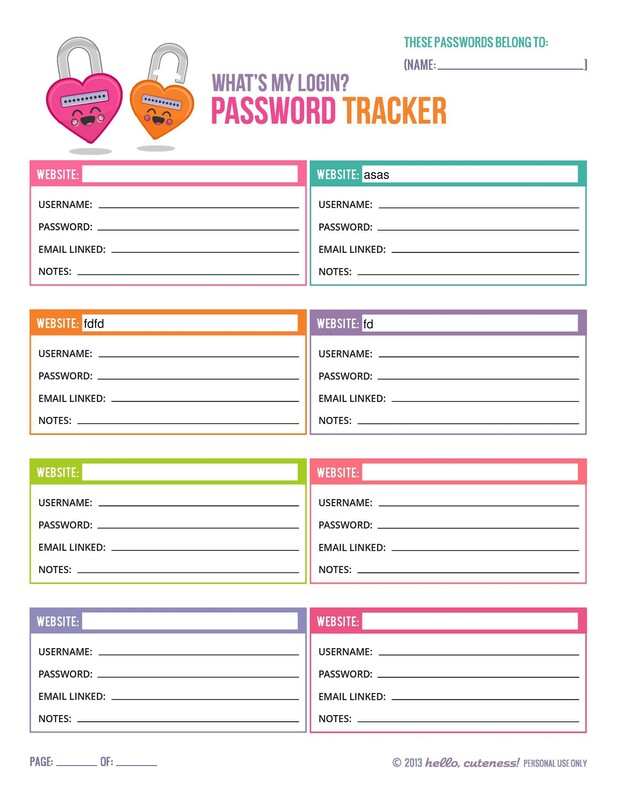 Do this to keep track of all the employee passwords. 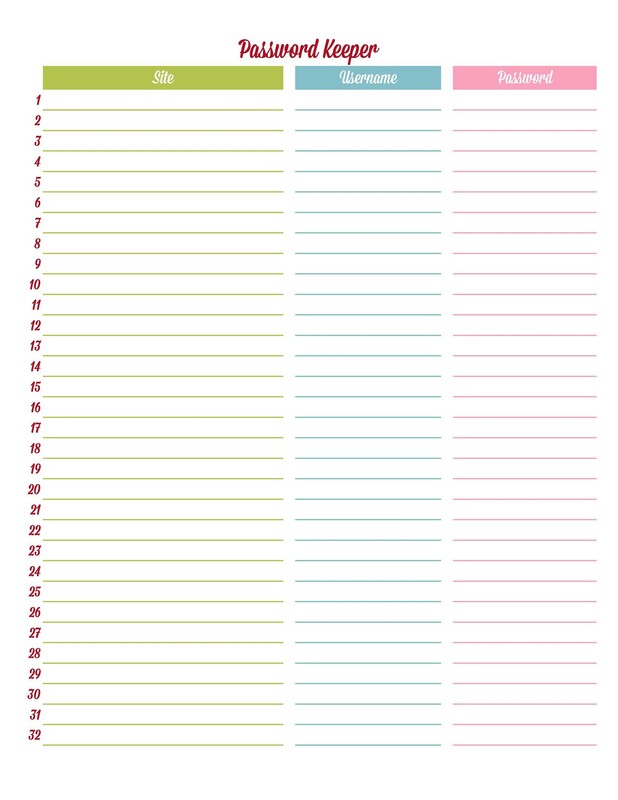 If you need such a template, you can download one from here. You can even create one on your own using a basic program. 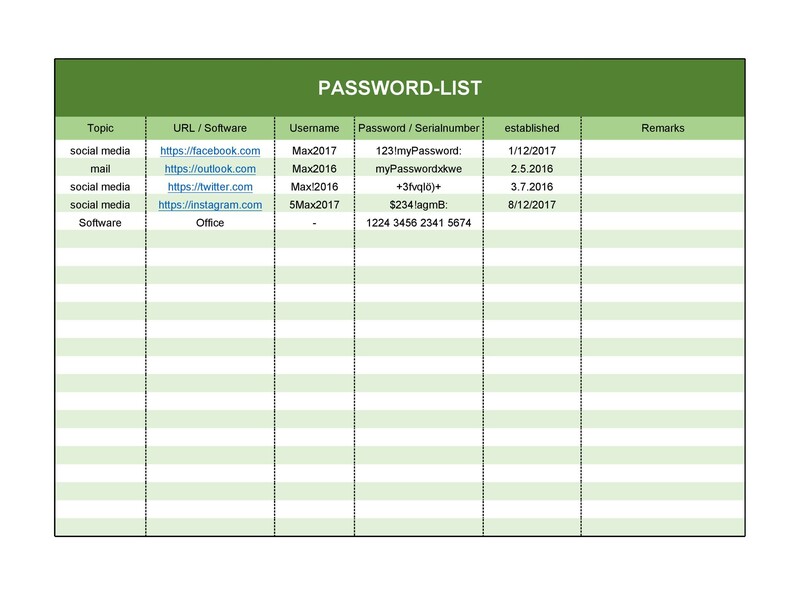 When one of your employees loses his/her password, you can refer to the list. The same thing goes if you make a list of your own passwords. Using the same password for all your accounts isn’t very advisable. If a hacker breaks into one of your accounts, then you stand to lose all others. This is why it’s more recommended to use different passwords for different accounts. The problem, however, is trying to remember all of your passwords correctly. Nowadays there’s an increasing number of websites which require users to open accounts. 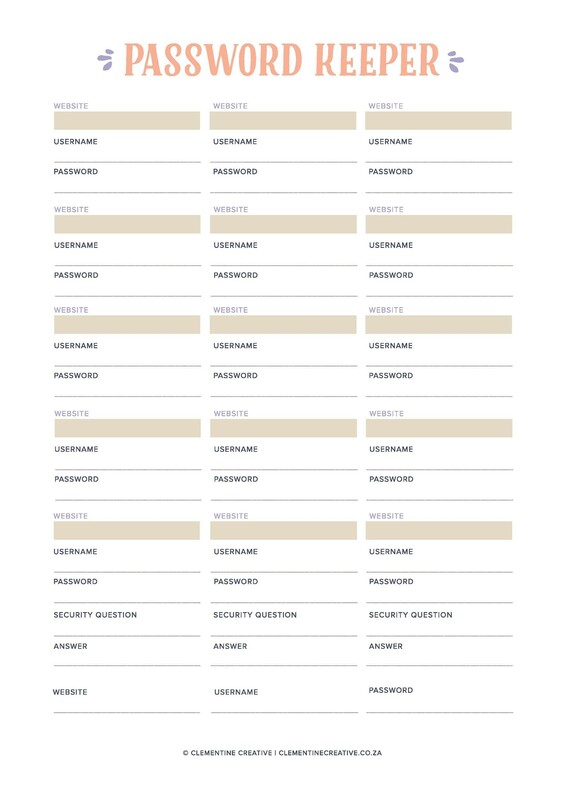 Why is there a need for password list templates? 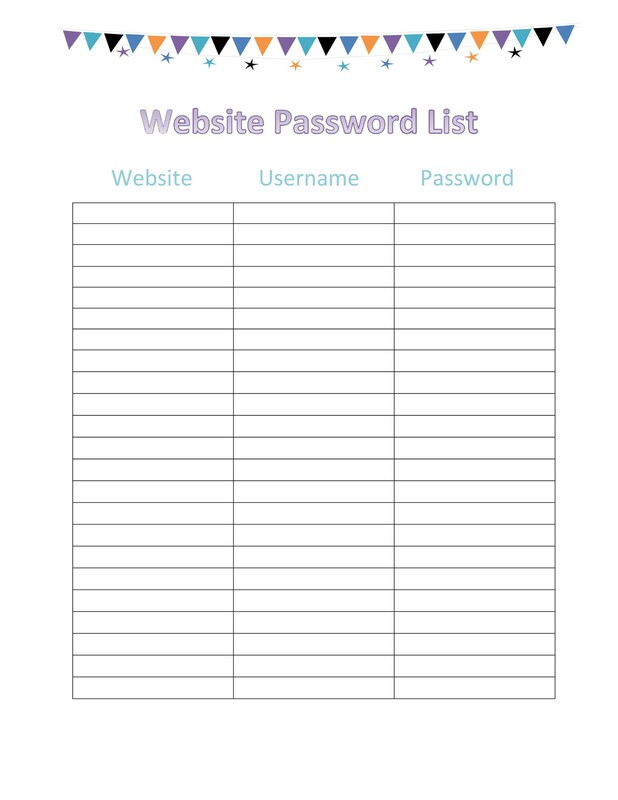 A password list is important for keeping track of all your usernames and passwords. These days, you need to sign-up for different accounts on different websites. You always need to keep this information secure, whether personally or professionally. An unauthorized person might acquire your passwords. Then he/she can gain access to your accounts. This can be very dangerous especially if you work with highly-sensitive information. 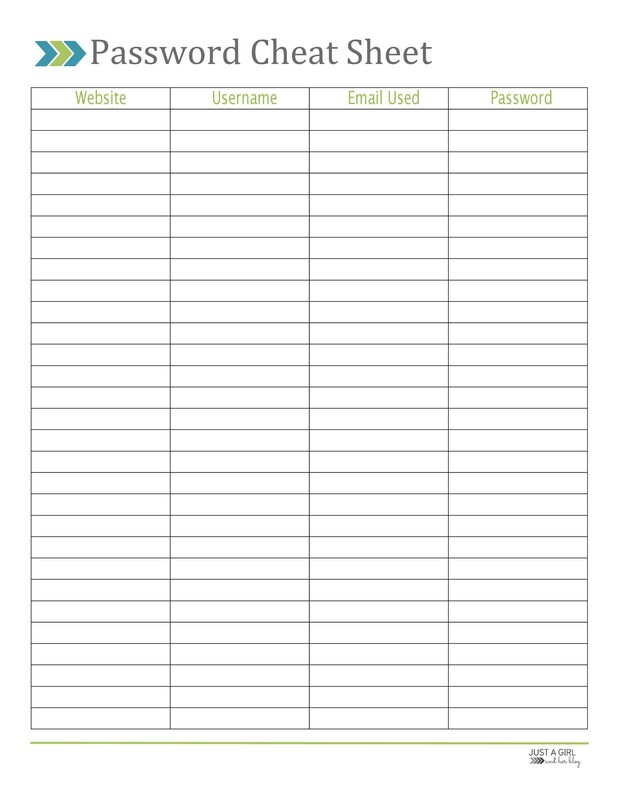 With a printable password log, you can get a hold of your login information anywhere and at any time. You won’t even have to reset your passwords frequently. People do this frequently just because they can’t remember them. 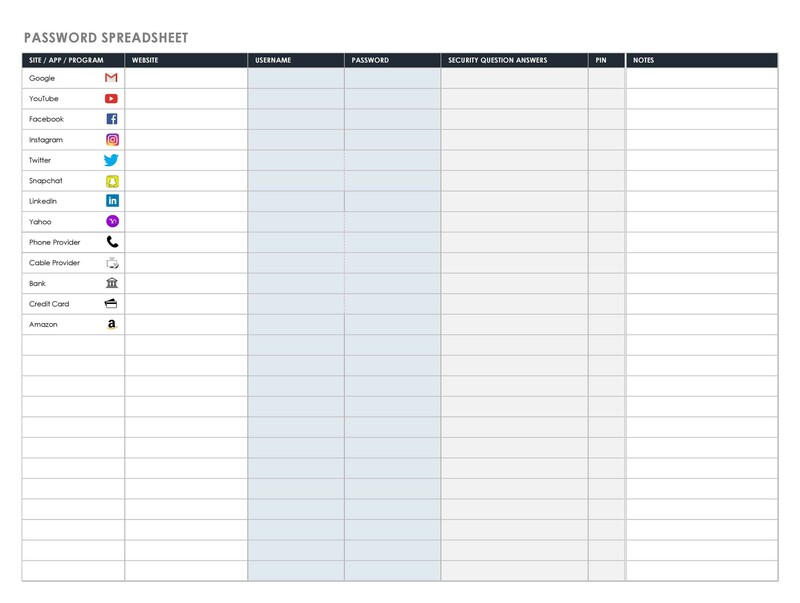 You can organize all your information. You do this while keeping it safe from hackers and other nefarious individuals. In the past, you didn’t have to remember so many passwords. You’d have one for your personal email, one for your office email, and that would be it. But now, there are social media sites, professional servers, and many other accounts. All of these need new passwords. The worst part is, you need to think of complicated passwords. You need to come up with such just so they’re not easy to guess. Each day, we have a lot of things to think about. That’s why it’s virtually impossible to remember all your passwords accurately. Complex passwords are quite tedious to manage. This is especially true if you have passwords for personal and professional accounts. So do yourself a favor and store them all on a secure password list. Do this rather than use passwords which are very predictable as this would be very insecure. 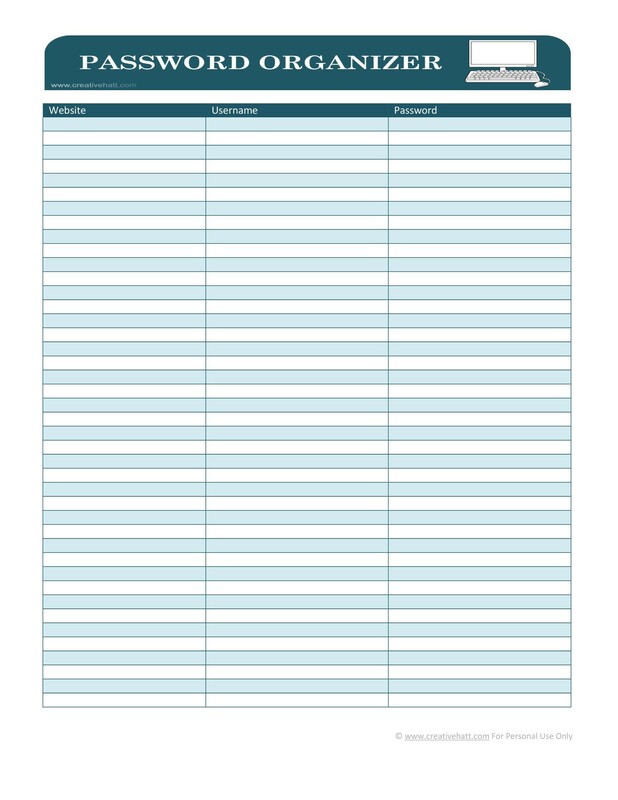 The best thing to do to keep track of all your passwords is to list them down in a document. 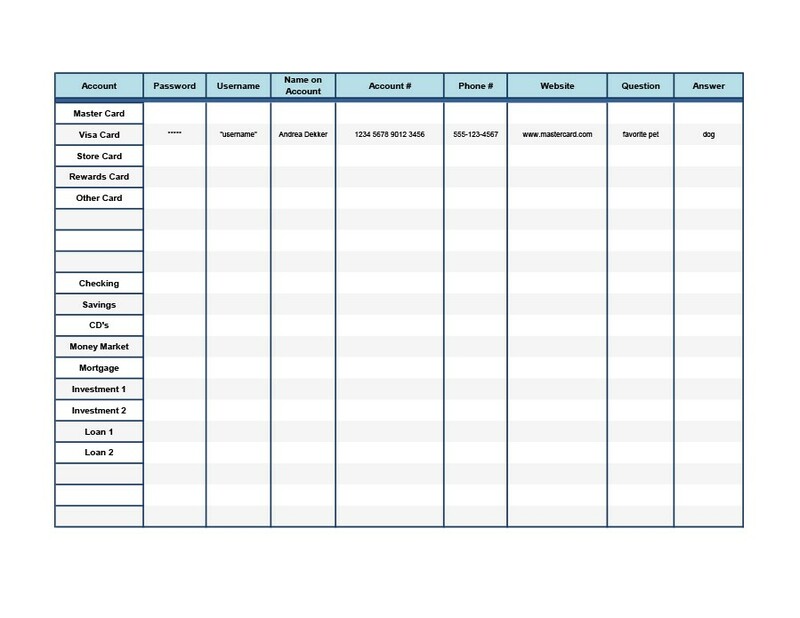 You can write down your login details of your existing accounts. Don’t forget to include your complicated passwords. As long as you keep this list secure, you won’t have to worry. There’s very little risk of losing your accounts or the information within them. 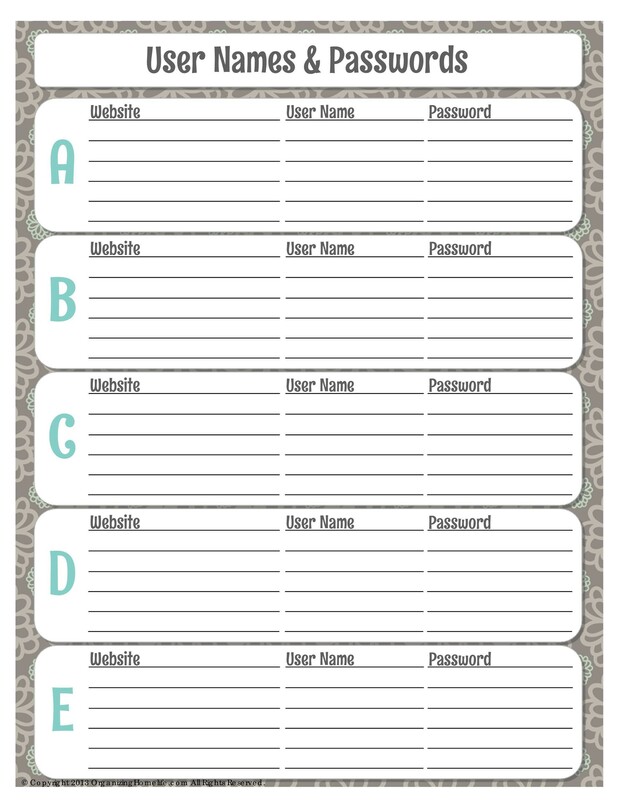 Password list templates are convenient for both personal and professional use. 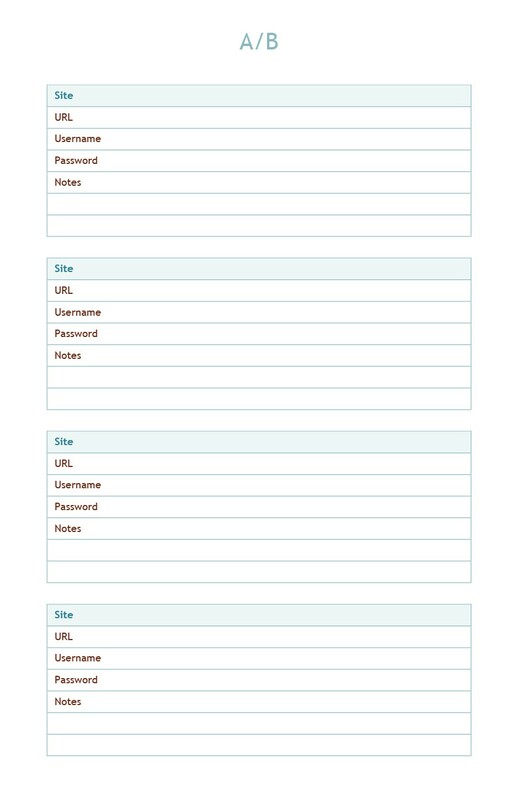 You can use them to note down all your login details in a secure and organized manner. Using such a template is highly beneficial. This is because you’ll immediately be able to access your passwords when you need them. So you can log into your accounts without any trouble or complication. 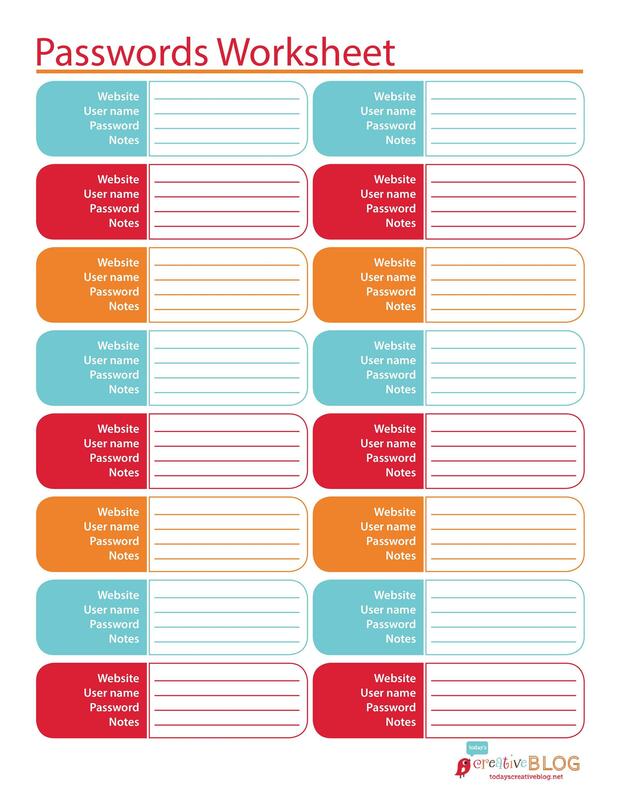 One benefit of using such a template is that you can keep your passwords more secure. 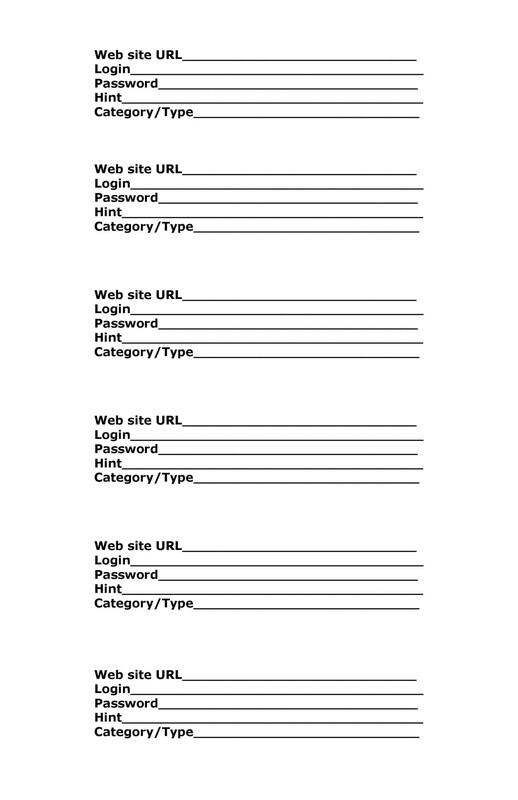 You can even keep the list on your computer, in a file protected by a password. Then all you have to do is remember the main password which unlocks the file. It would contain all the other details you need. When you do this, you don’t have to worry about using complex passwords for your accounts. Aside from being easy to create, such templates are also very easy to use. 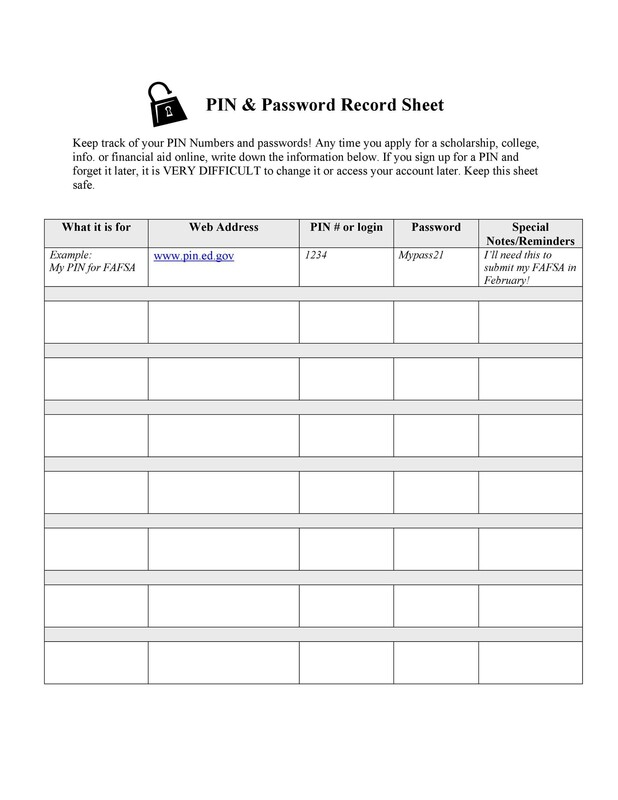 All you have to do is input your information and find a way to keep your list secure. 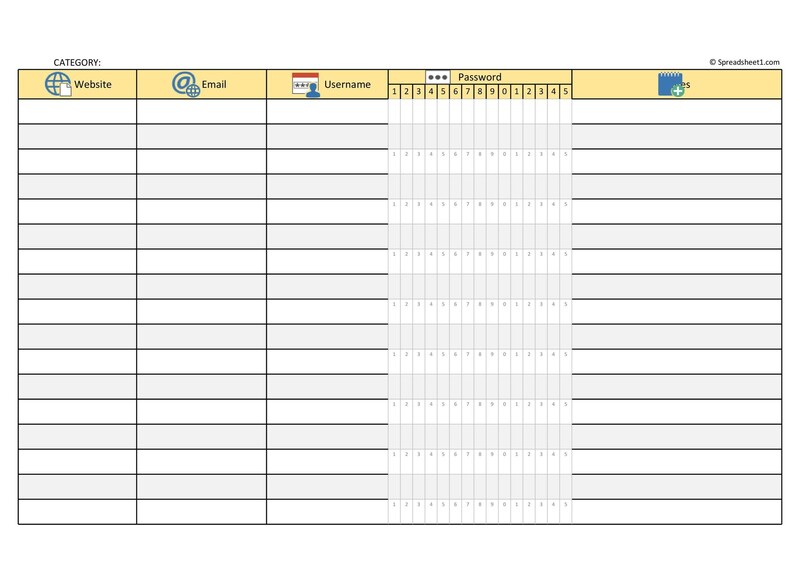 Even if you download a template, you can customize it to suit your needs. You may add elements or remove elements as needed. Then you can start entering your information. It’s that easy! 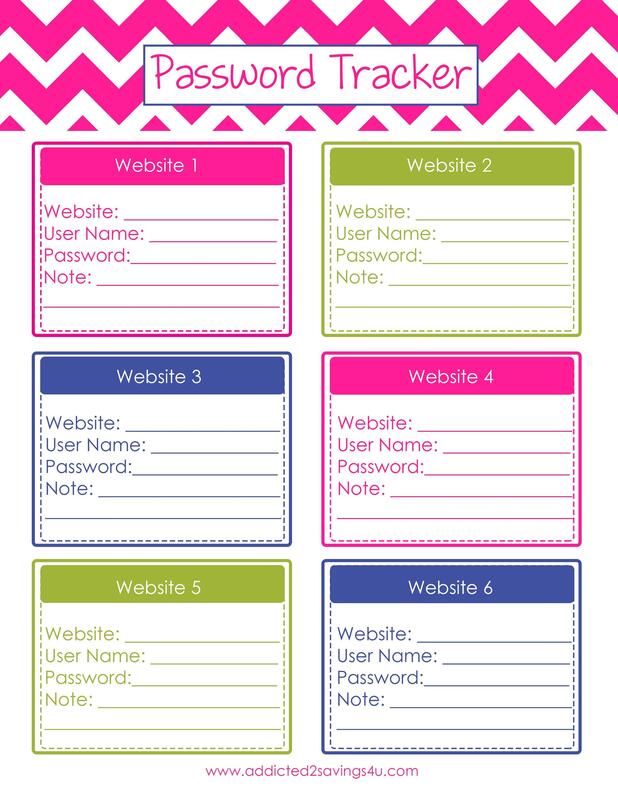 There are different types of templates you can make or download. 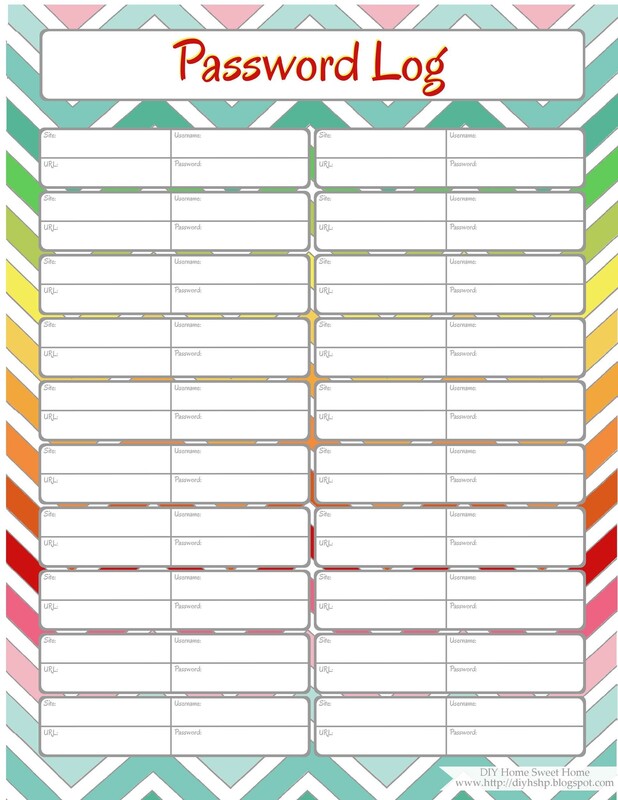 You can create a fun and colorful template if you want to use it personally. 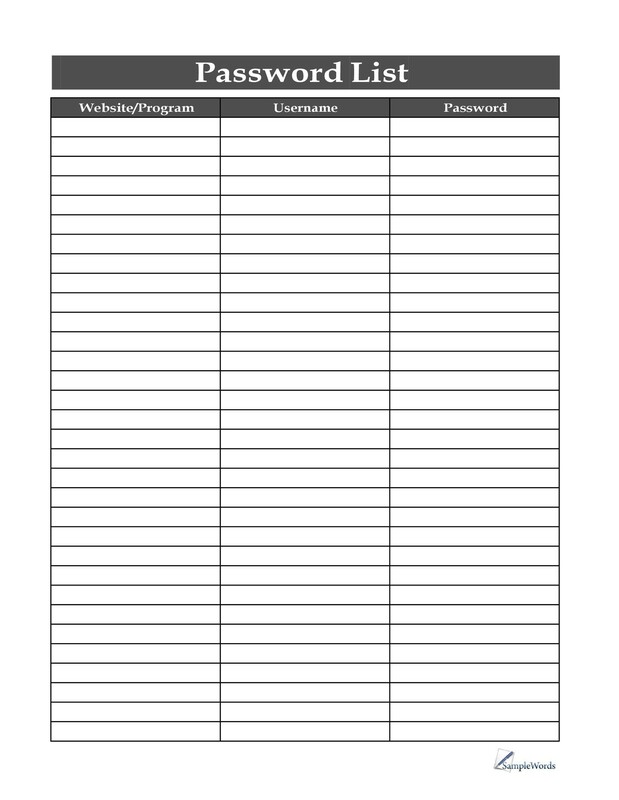 You can also use a basic template if you just want a place to store your details. 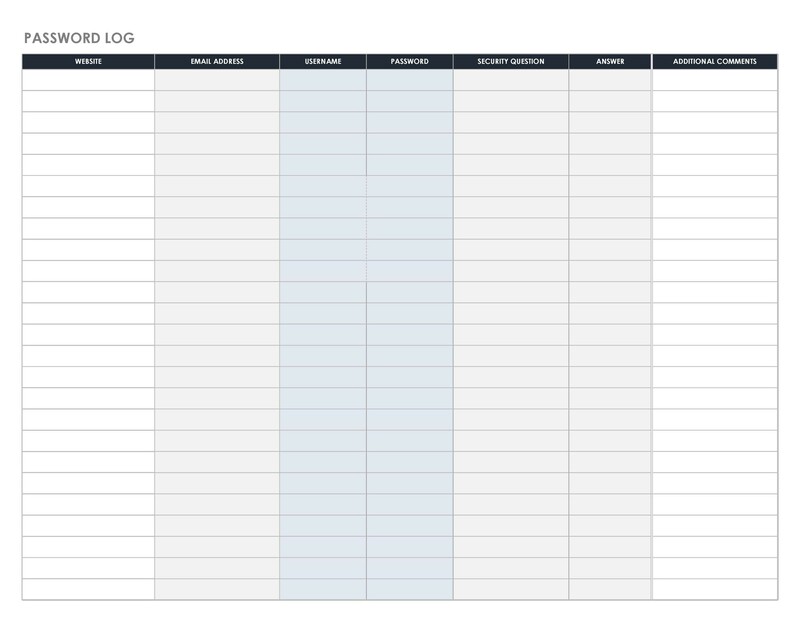 For instance, you can use a password log spreadsheet template. 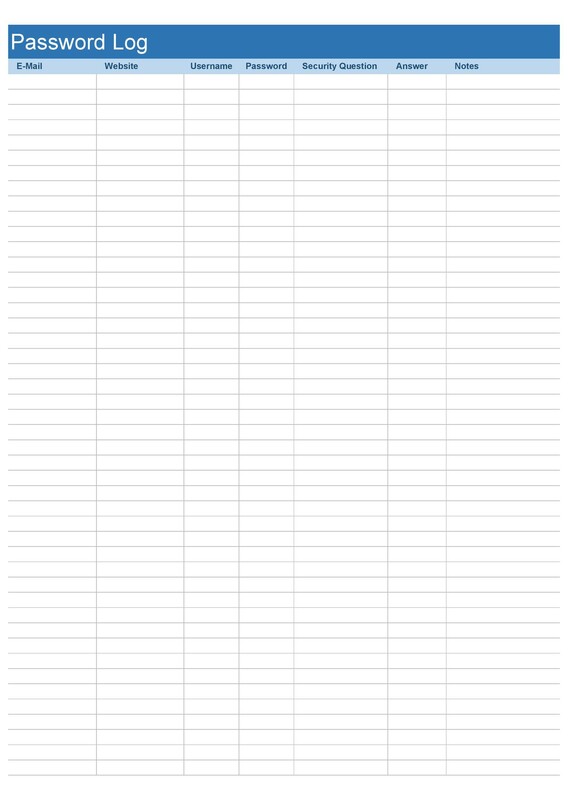 You can make this template in Excel format. It will help you record all your important login details. 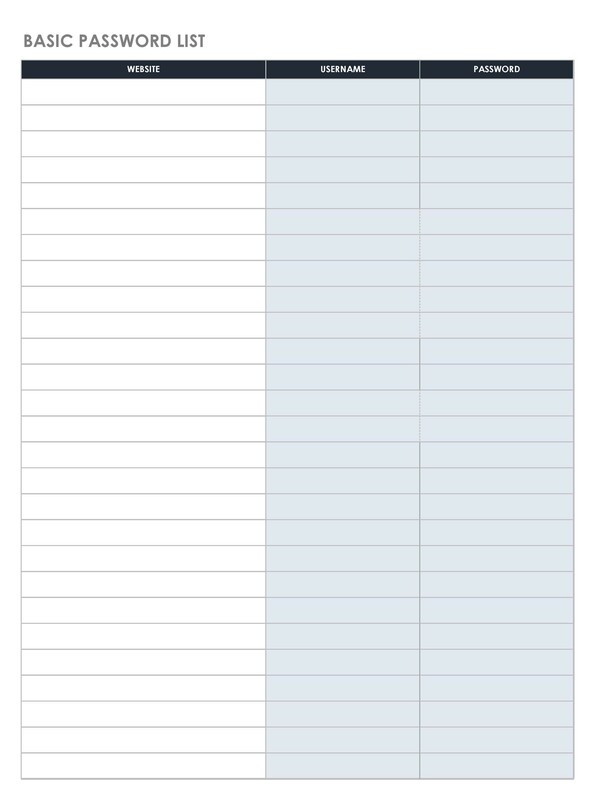 You can add columns as you need them so you can include all your information. 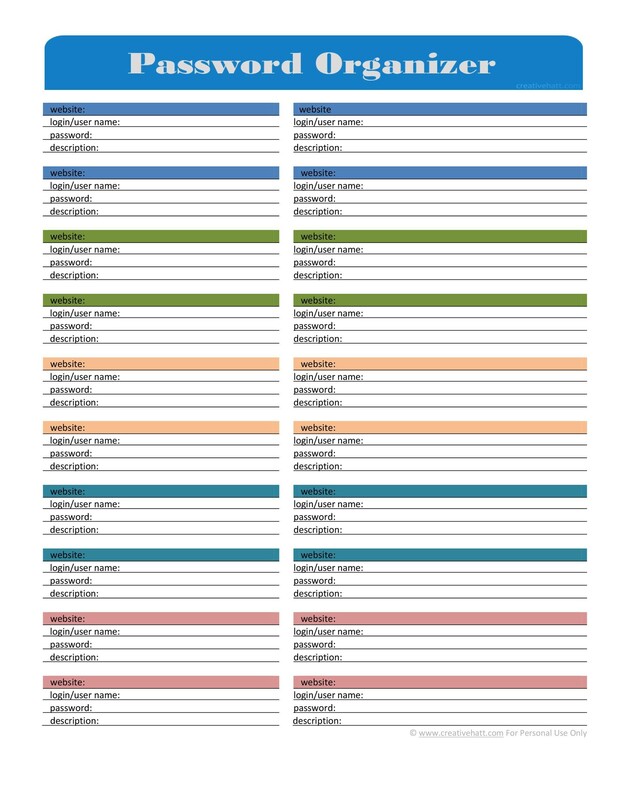 These are common types of lists you can make. Of course, there are a lot of others you can create. 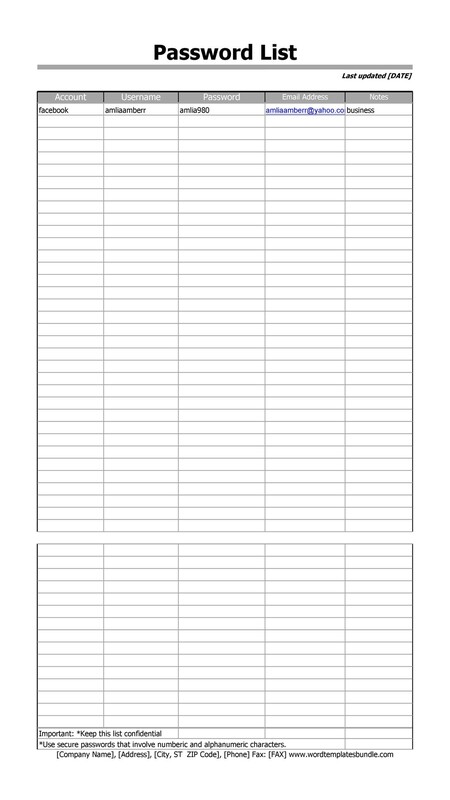 As we’ve said, it’s quite easy to create such list templates. Before you start making your password list, first choose the right passwords. Using your birthday or some other easy to guess number sequence isn’t advisable. In some websites, they have specific requirements for passwords. You’d have to include a mix of characters. These include uppercase letters, lowercase letters, and special characters. This is convenient because you’re forced to think outside of the box. Also, in other websites, there’s an indication of how strong your password is. If your password is too weak, you’d have to keep on changing it. You’ll only be able to use the password if you’ve reached the right password strength. But in some sites, you can use any password you like. In these sites, you’d usually come up with a password that you’ll remember easily. Unfortunately, these types of passwords are usually insecure. So if you want to sign up for a new account, start thinking of a strong password beforehand. 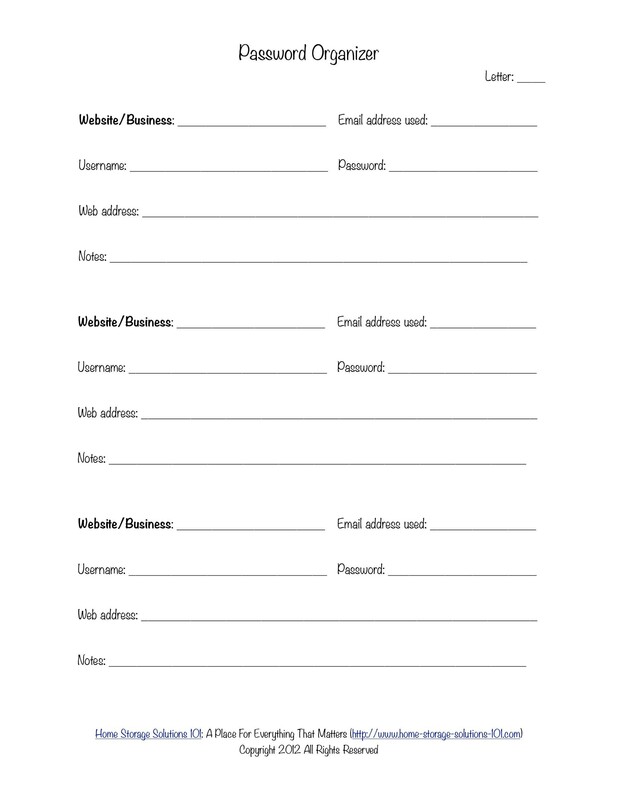 List it down so that you can input it into the registration page of the website correctly. Then, once you’ve verified your account, you can enter your new password on your list. Also, enter your login details so you know what that particular password is for. 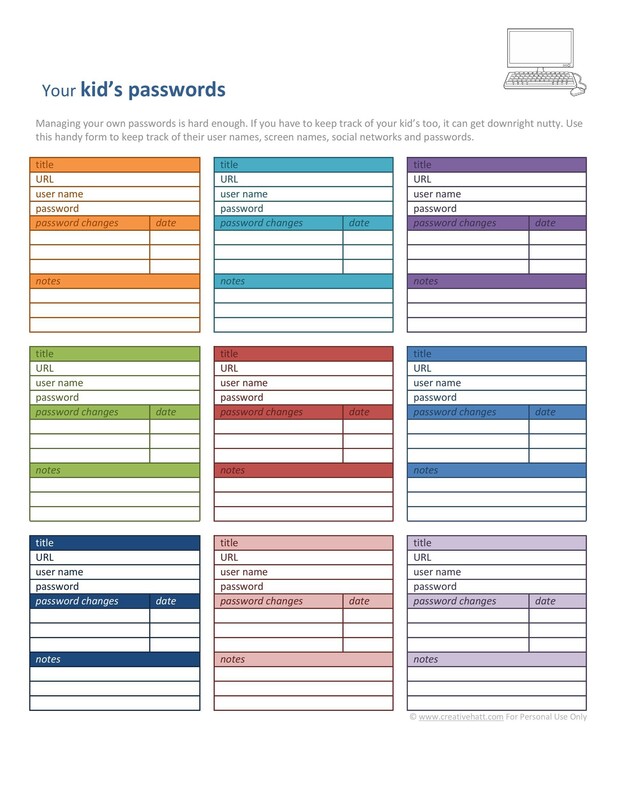 Now if you want to have a list of your passwords, this is a lot easier. You can download one or make one for yourself. If you want to make one yourself, do so using a program you’re comfortable with. Of course, a lot of people prefer to download a template online. 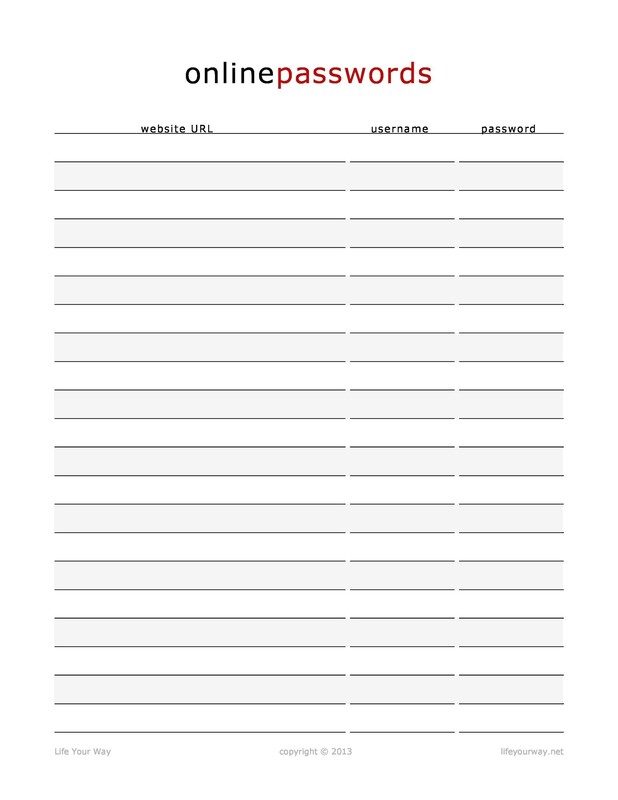 You can download one from here and save yourself some time and effort. You can modify the template to suit your needs. If you need more columns or rows, just add them in. 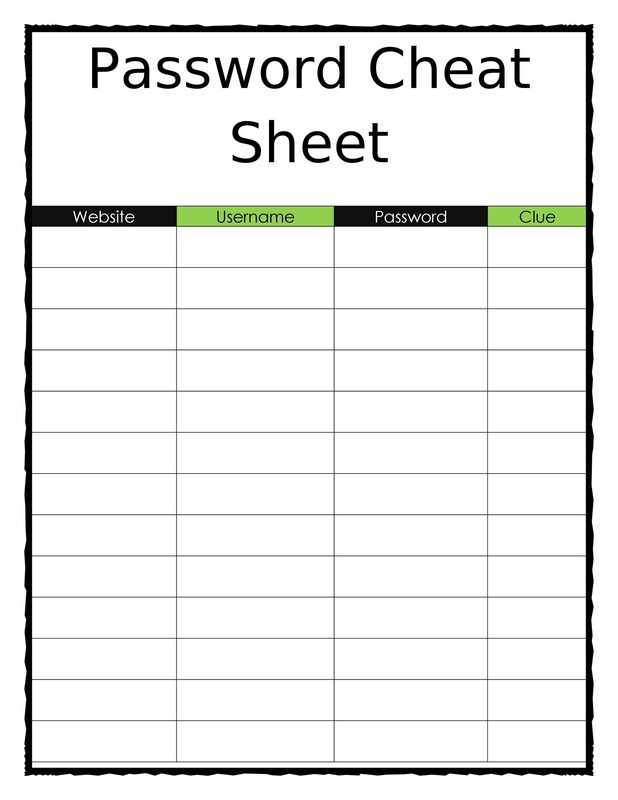 When you use a template to write down all your passwords, you won’t have to worry about losing them. Keep them safe with your other files or save the template to your computer. It’s more convenient if you do the latter. Then when you need to log-in to your account, simply copy your password and paste it on the sign-in page. Using login details like passwords is the best way to verify your identity. You need to input the correct username and password. This will prove that you own the account and so you can gain access to it. As we’ve said, reusing passwords isn’t recommended. Never use the same password for all your accounts. If a person manages to get your password, then he’ll be able to access everything. With enough effort, this person can take control of all your digital assets. The person may be able to gain access to all of your sensitive information. It’s always best to use different passwords for different accounts. A strong password is one which contains a range of different characters. Rather than use significant words and numbers, use random ones. Think of a long sequence of alphanumeric characters. You can also use random symbols to make your password really strong. Don’t worry about memorizing it though, just write it on your list. 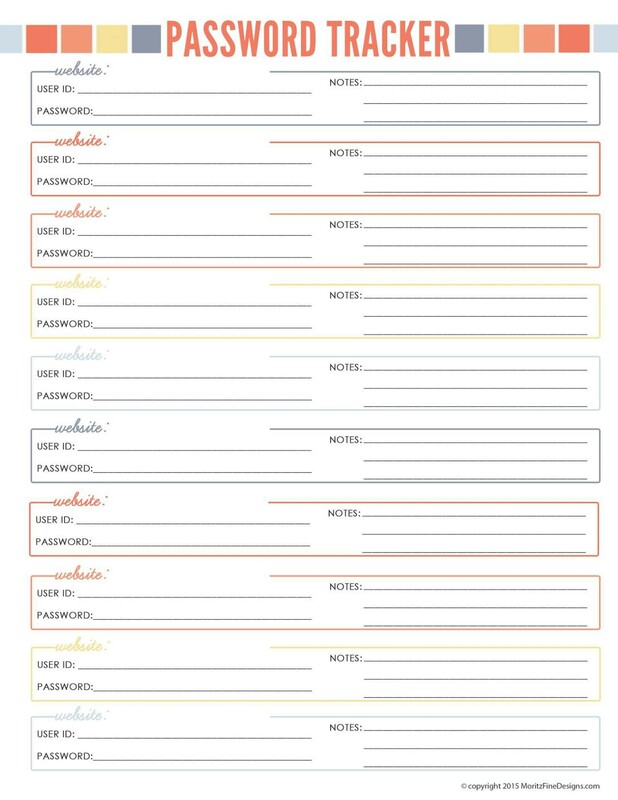 You don’t just have to you a printable password log. You can also use a digital file and store it on your computer. Then you can encrypt the file so that only you can access it. This is particularly important if you’re storing the file on your office computer. If other people use the computer, they may stumble into your password file. If you use a paper file, you also need to keep it secure. 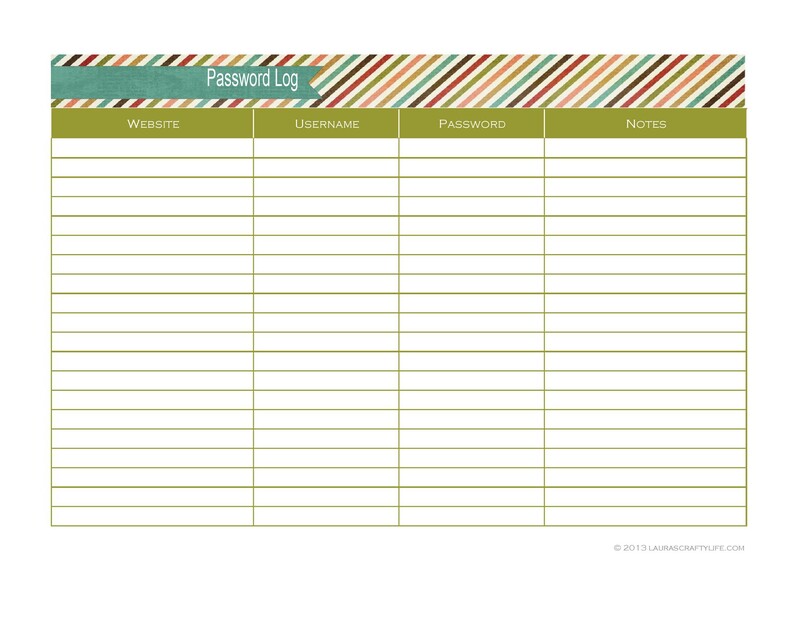 Don’t just leave your list lying around the house or office for everyone to see. 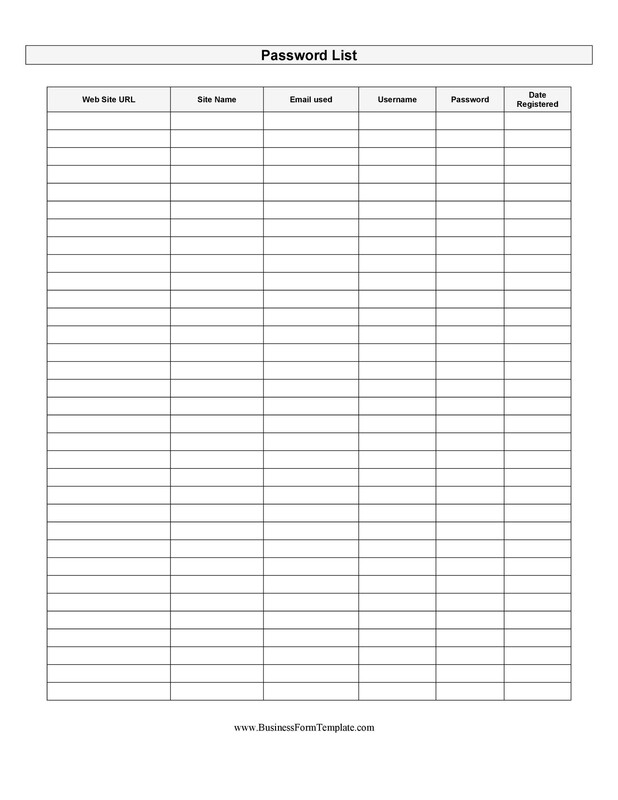 Make a copy of the list and store it in a permanent safe place. Then use the other copy whenever you need to access your accounts. 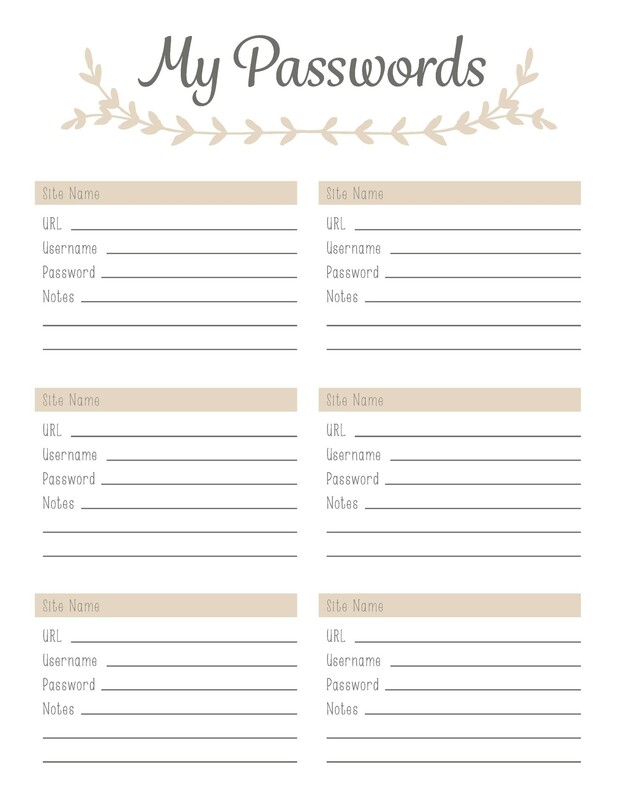 As another security measure, try to make sure that your password list “confusing.” Do this so that if another person acquires your list, it will look meaningless. Think of a system to make your passwords more confusing. For instance, you can write down the next letter or number in the sequence. But only do this if you’re sure that you won’t get confused by the passwords. The best way to secure your passwords is to keep them to yourself. Never share them with anyone else. This is especially important if they contain sensitive information. Don’t send passwords through an email. Also, never store the file without encrypting it first. If you suspect that you’re passwords compromised, change it immediately. 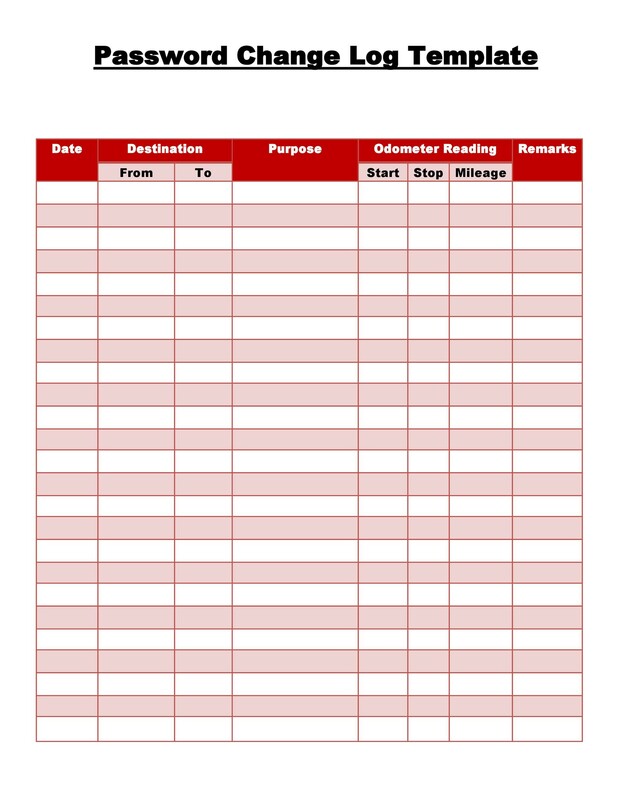 Then change the information on your list too to keep it updated. Try to verify the strength of your passwords. 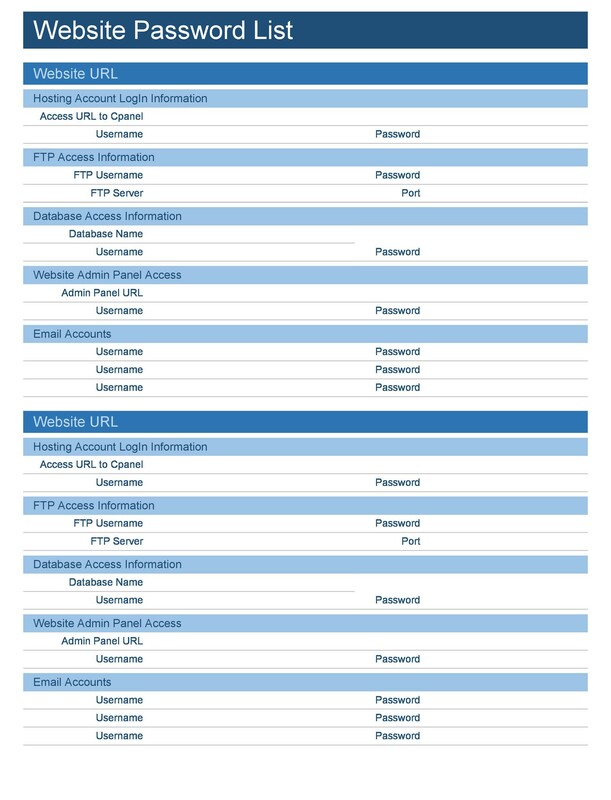 There are a low of password checker tools online you can use. Once you’ve verified that it’s strong enough, and then you can use it. Make it a habit to come up with strong and complex passwords. Also, enable the password-recovery option if available. These are some suggestions you may use to keep your passwords safe. As long as you have a password list, you can protect your information. It’s a convenient and beneficial tool.